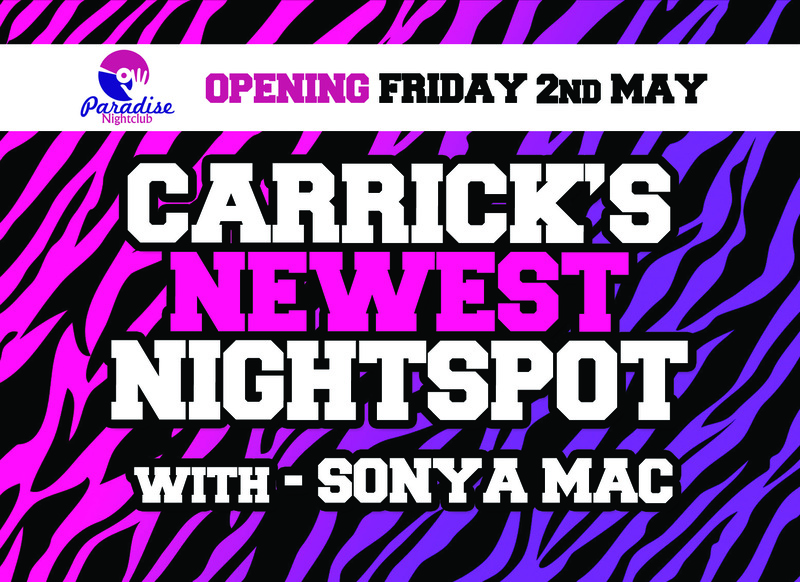 Back in Carrick for an exciting new venture…..
After a recent residency in Carrick, I discovered that the locals love their dance music, commercial chart, old skool and R & B. With an absence of this type of venue in the area, John & I decided to create one. We are both very excited about the opening night which will offer those attending, not only a free shot on entry on the first night, but the great drinks offers will continue every week. We’ll offer the ‘birthday boy or girl’ free entry for their party and will offer a guest list to those bringing a large party to the club. 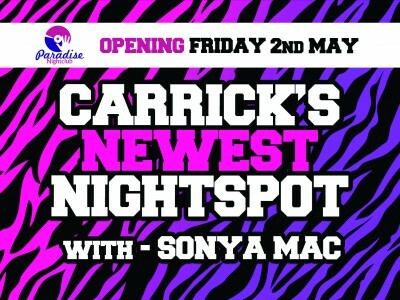 Check us out on Facebook…Paradise Carrickfergus.